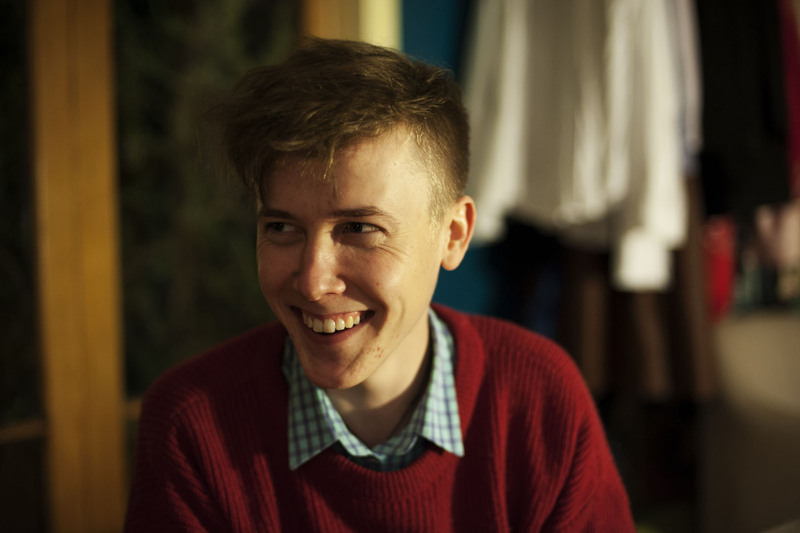 19 year old Daniel McBride – better known as Sheep, Dog & Wolf – is a supremely talented multi-instrumentalist from Wellington, New Zealand. 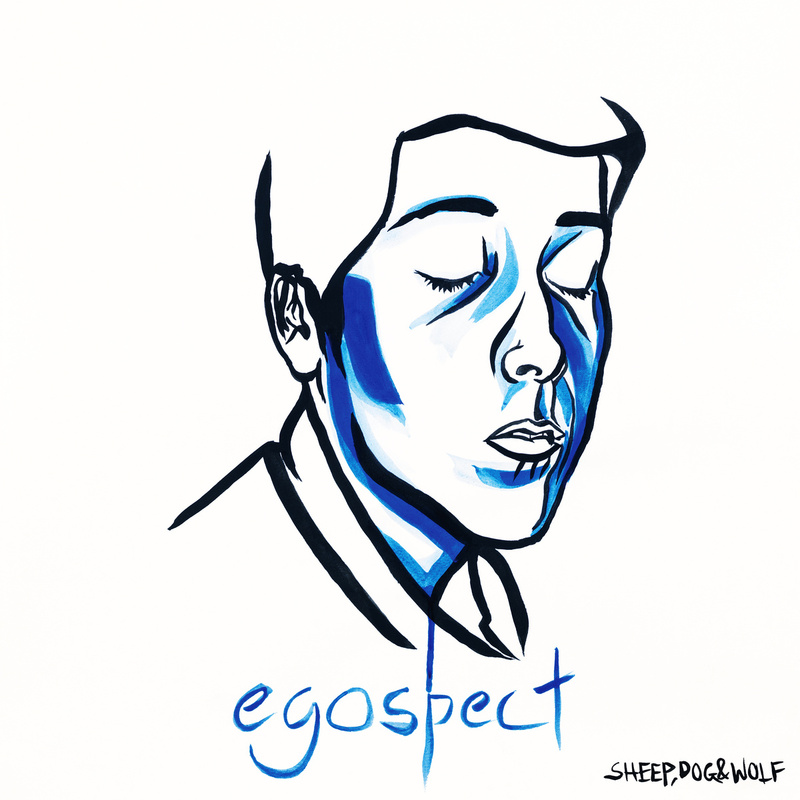 Last Friday he released his storied debut album, Egospect, in Australia. We had the pleasure of chatting to Daniel about the album, his peculiar moniker, and his insightful philosophies about music. I understand this is your first Australian interview! Does that feel like a big milestone for you? I think it is, yeah! I suppose so; it’s a good feeling. Sheep, Dog & Wolf – it’s a really interesting moniker. Are they your favourite animals? [Laughs] No, no they’re not. The reason I actually chose the name Sheep, Dog & Wolf [is that] it’s actually the name of a video game I used to play when I was younger. It’s a PlayStation 1 game where you are a wolf trying to steal a sheep that is guarded by a dog. It’s a Looney Tunes problem solving game. I really don’t know why I chose that title… I think it just appealed to me at the time. But yeah, I suppose I like the animals as well. If you had to be one of them, would you rather be a sheep, a dog or a wolf? Oh, definitely a wolf. No question. You must be stoked that Glare has almost immediately been added to rotation on Triple J.
That’s a pretty amazing feeling. It means a lot to have been picked up by those guys; they really know their stuff with music and obviously have a lot of influence. That was a kind of celebratory moment when I found that out, for sure. Absolutely, and it must be really promising for you, as you’re entering the Australian market, to have that kind of support. Yeah, especially since we’ve only started trying to get any traction over in Australia pretty recently, so to have positive feedback like that so early on means a lot. Did you have any idea that that sort of support would be there when you entered Australia, or did you just extend into the area based on your success in New Zealand? I don’t think we really knew what to expect when we were trying to get into Australia. I thought that there might be some hope seeing as there had been interest from the guys at Create/Control, which is the label that expressed interest, and I felt like that was a good sign because they seem to know their stuff. But no, I really didn’t know what to expect, so it was a welcome surprise to find that [Glare] was accepted that quickly into the Australian airwaves. Obviously Egospect was released in New Zealand more than a year ago now. What do you think was the main catalyst for deciding to release it in Australia? Was it the interest from Create/Control? Yeah, I would say that probably was it. I’m actually working on a second album right now, so the songs from Egospect, I feel like they’re what I was doing a while ago. To have had that interest from Create/Control restored my confidence that it still had places to go as an album, so it was definitely the real interest and excitement on behalf of Create/Control that got me excited about getting into Australia with it. And how do you feel about the music on Egospect now? Obviously a lot of artists, when they release music, have just come off the back of producing it and it’s all very fresh. But for you, more than a year on; do you still feel like you connect well with that music? Or do you feel like it’s a bit too much of your past now? I absolutely feel I connect with it, because it’s a very in-depth study of who I was and where I was at the time that I wrote it. I was endeavouring to be as honest as I could possibly be when I was writing it, so it’s still a lot for me to connect with, in terms of who I was, and a lot of it who I still am. I finished recording it maybe a year and a half ago now, so it was very much a product of a time in my life. The new stuff I’m working on is a new direction, but it all builds out of that, so I still think the album is my sound and who I am. In terms of the music itself, it’s obvious that there’s a lot of layering and a lot of work to get the sound so full and rich. How long did it take you to write, record, and produce the album? Egospect is an interesting one because the new songs on the album that I wrote purely for Egospect took me about six months of intensive recording, but there are also a few tracks that I put on from Ablutophobia, my first EP that I released without a label or anything when I was 17. I thought those songs needed to be reworked a bit and made a bit crisper. If you include the whole writing process, it took me about two years, starting way back then, and then thinking about the album while I was unable to write with RSI. So, yeah, it definitely felt like the culmination of a very long, intensive process. There was certainly a very good outcome in the end, though, because it is a wonderful album. I understand you construct all the elements yourself, and it’s evident that you’re a very capable multi-instrumentalist. What would you say is your main instrument? Or do you consider yourself to be primarily a vocalist? I started learning recorder at seven, and it was all part of this grand plan to learn saxophone. Saxophone’s the only instrument I’m actually trained in, so I would definitely consider it my main one. I’m not sure how much that really comes through in the music and in the arrangements, but if you see the live performances I feature it more. The saxophone is what has defined my musical persona and who I am, and it was the original in-road for me into creating music at all. What compelled you to tackle recording the album alone? Did it ever occur to you to try and enlist some bandmates, or was it always a solo project? The recorded aspect of Sheep, Dog & Wolf was always a solo project. It came about because back when I was 15 I was playing in a noisy punk band called Bandicoot that did sort of well on a local level in New Zealand; I was the drummer in that band, and obviously when you’re the drummer in a punk band there’s not all that many beats or [much] creative control that you have access to. Your role is pretty well-defined. I didn’t really have much input into the writing process. It was awesome, it was heaps of fun to play live, but in terms of creative output I was pretty restricted. And it also restricted my time, so it meant I didn’t have much time to write my own stuff. When I came out of that, when I was 16, I had a lot of stuff backed up that I really wanted to get out. Initially, the reason Sheep, Dog & Wolf was all me was because I just wanted to get it all out there, and I was the one doing it all so it just kind of naturally happened that way. Then I realised I really liked the holistic view of music it gives you when you’re doing the arrangements and also playing every instrument and also doing all the production. It gives you a very in-depth understanding of every aspect of what you’re doing. It’s kind of an intrinsic part of writing Sheep, Dog & Wolf for me now, having that knowledge of every aspect and having the freedom that doing everything yourself gives you. I could wake up at 3am with a part and record it, whereas if I was working with session musicians I’d have to wake someone up at 3am and get them to record it. And it certainly sounds like much of the complexity of the music comes because you have that understanding of each element. A couple of years ago I studied composition at university for a year, because I had RSI and was unable to play any instruments. One of the things that my orchestration teacher told me was that to completely understand an instrument, you have to understand how it’s played. I don’t think he meant you have to learn it, but I thought, what better way to know how it’s played than to play it? It helps a lot, in terms of arrangement, to have a player’s understanding of an instrument, as opposed to just a composer’s. The percussion throughout the album is one of the most striking elements. I’m so glad you think that! I was a drummer, like I said, in a band for a while, so I’m always tapping on things with my hands and I’ve always been very interested in the percussive side of stuff. The electronic stuff I’ve been really drawn to, like Flying Lotus and Lapalux, has a lot of really intricate percussion trickling around you as you listen to it, and I was really interested in that and tried to incorporate it. Any plans to tour soon? Yeah, absolutely! I’ve been around the album working on getting a larger band together for a while. Last year I played as a two-piece with myself and my drummer Eddie Crawshaw, who’s an incredible drummer, and [I] used a whole lot of loops and harmonisers and stuff to make that work. But it was very mechanical by necessity, because when you’re using loop pedals it’s quite restrictive, so I’ve been working this year on getting a larger live band together to give a more natural feel to it. I’m hoping to bring that across the ditch to Australia at some point next year. Egospect by Sheep, Dog & Wolf is out now.